Thought I would do a count down of my 10 favorite character’s in Lord of the Rings and why they are my favorites. I can think of three major reasons why she is in the top 10, even though across the three movies she does not feature very much. 1. She is an Elf, 2. She is powerful and 3. She is a woman. Yes ok those are not the best reasons but I really do think that Galadriel is just great and has so much power over a lot of people. Another Elf . . . yes I do love those Elves. 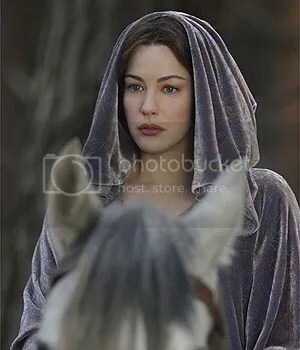 She is the daughter of Lord Elrond and was due to leave Middle Earth when the battle broke out. But she could not go and leave Aragron, she ends up giving up her immortality to be with him. Which I just love her for. 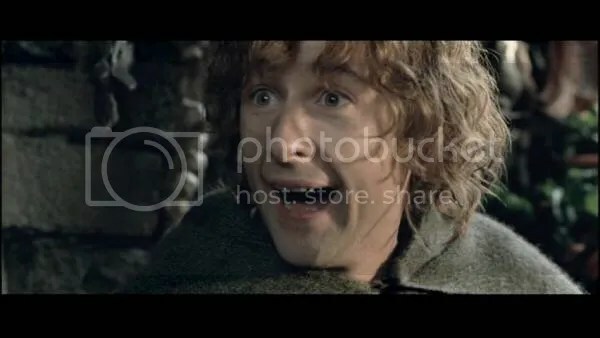 He is such an adorable hobbit, who gets himself into trouble and never really understands how dangerous the ring quest is. Until it is almost too late of course. He plays his part in the finale and is just great. I love when he has to sing for Deanthor. She is in the list for the above picture . . . well I mean that part in the movie “I am no man” it is a brilliant moment. As she destroys the ring wraith !!! 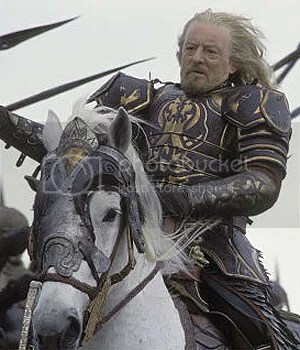 King Theoden of Rohan, has so much honor in the end when he goes to Gondor’s aid. He is an elf, elegant and just loves to fight. Plus his friendship with Gimli is just too cute. He really grows up over the course of the three movies, and will do anything for “Mr.Frodo”. 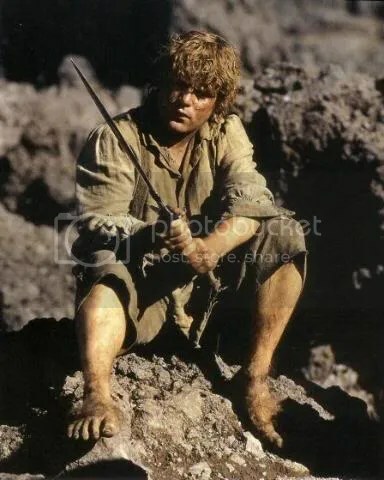 He never gives up hope for Frodo no matter how much the ring begins to consume him. He always knew Gollum was not being totally honest with them and still wanted to steal the ring. 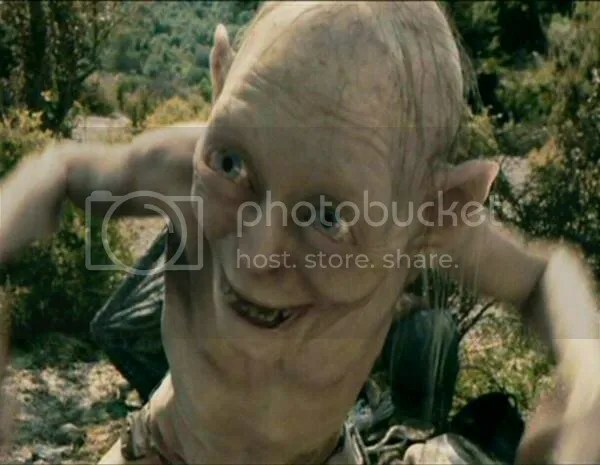 Such a strange and complex guy is Gollum or Smeagol as he was once known. This causes a double personality which is just so hilarious at times. 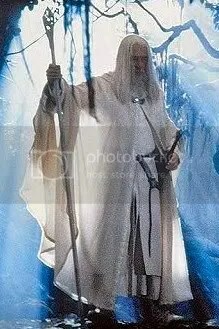 I really love Gandalf, I think he is such a fantastic character, with so much depth and history which is so difficult to tell at times. I also love his horse Shadowfax. “Ranger from the North” is the King of Gondor . . . on the path to regain his thrown and give hope to the race of men. He is really just my absoulte favorite character (he was in the books as well). He has so much leadership and courage. He does not want anything to happen to the world of men. Plus his love of Arwen is just incredible. He does not want to live without her, but does not want her to give up anything for him. I would have put Theoden as my number one or two, but otherwise a sound list. 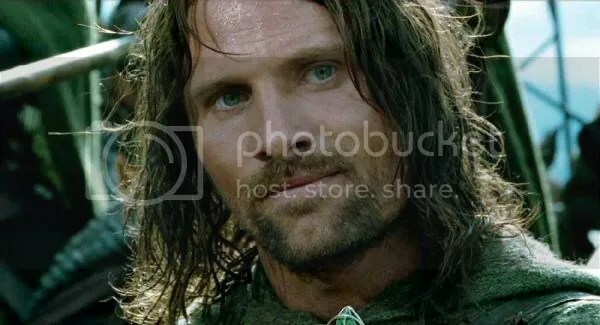 Aragorn’s character doesn’t get the credit he deserves. Not a fan of the villains I take it? I never really thought much about the villians I guess I just went for the heroes all the way (well apart from Gollum). I don’t think I like Gollum so much to put it at no. 3! My most favorite is probably Gandalf. 10. Pippin = It was between him and Frodo for a spot on the list, but I like Pippin more since.. Merry does. 9. Gimli – His scenes with Legolas are awesome. 8. Boromir – Awesome character with dynamic. 7. Eomer – Fun character who is pretty badass. 6. Gandalf – It’s Gandalf. What more needs to be said? 5. Eowyn – Love her scenes with Merry. 4. Gamling – He’s just such a badass. 3. Aragon – Love Aragon. Such a strong and smart character. 2. 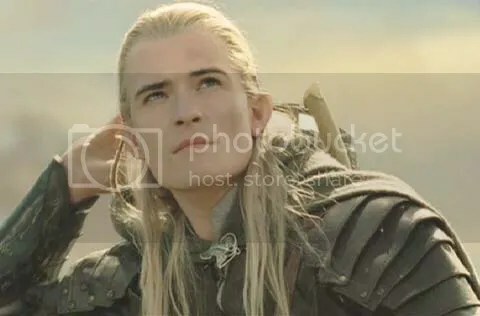 Legolas – Really, he’s pretty much tied for #1. I just gave it to Merry because he’s smaller and just as awesome. 1. Merry – What a warrior. I love Lord of the Rings, what magical, immersive movies. I reviewed the trilogy a while back and would love to hear your opinions on them. Thank you so much, I await your responses to them.